We have two amazing projects to share today. First up is Kim, with an amazing home decor project! Hi Everyone! 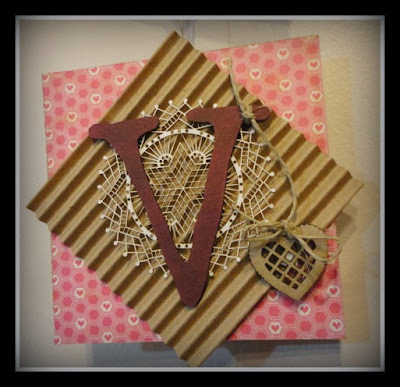 It's Kim here to share my newest creation, a Window Shadow Box done in a vintage shabby style. It was tons of fun to create, and I love how it turned out. I covered the inside of the box with a gorgeous black and white photo frame paper from Teresa Collins, and used aqua and turquoise as my accent colors. I painted the frame of the window with some distress paint in white, then sanded it back to the raw wood of the box to really make it look aged and distressed. Here you can see inside the top of the box, and on the left side I have added one of the Gates from the small fence and gate set, which I embossed in an aged Silver tone. I placed some white, aqua and turquoise flowers in the box behind the gate and added a metal sign sentiment on top. In the middle of the window I placed some resin frames and added my initial. To the right are some white resin cameras backed by some white doilies. In the far right corner, I placed a small clock button. Below, you can see a frame I have altered and added a vintage photo of myself on my 5th Birthday! I have also added the word "Dream" from the Words & Phrases 1 Set. I added some flowers and a camera charm to the top and placed 2 of the intricate doilies on the side and top of the frame. To the right of the frame is a metal camera which I altered using some Patina Guilders Paste, and added a flower to the center. I added a fun metal tap and pipe to the bottom on top of some vintage lace. Below, you can see the bottom right of the shadow box. 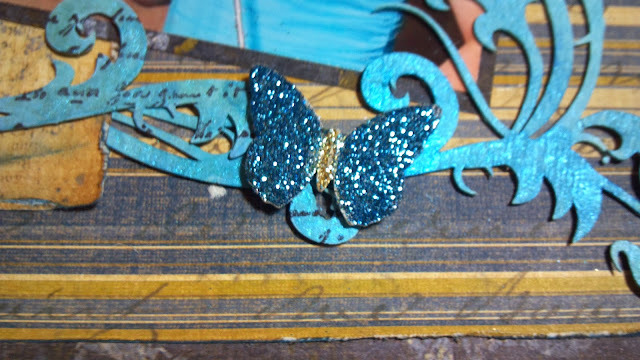 I have added a steam punk doily and a large wing from the Wings Assortment Set, which I have embossed with shabby blue and aged silver embossing powder. I added a wooden sentiment and flowers to finish it off. I hope you have enjoyed looking at my Window Shadow Box, and thanks so much for stopping by today! 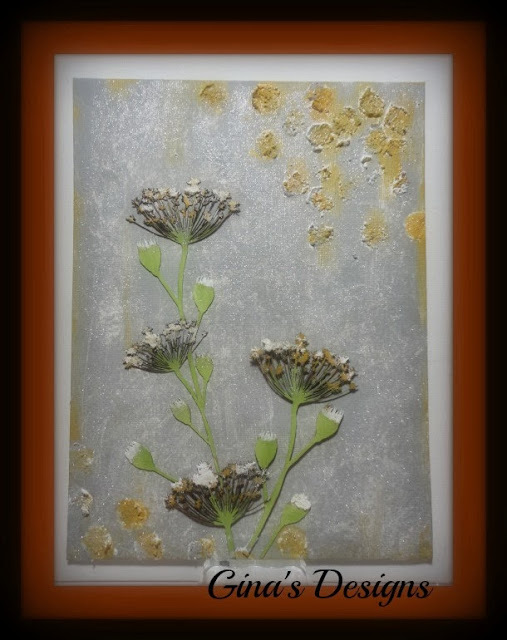 Next up is Heidi with a gorgeous altered canvas featuring our Queen Anne's Lace chipboard shapes. Hello everyone, Heidi here! Today's project is a canvas I made for Gina's Designs using the gorgeous Lace Flowers. To start the project I used a honeycomb grid to put some texture randomly on the canvas. I then painted the entire canvas with a light gray paint, going back to add a little mustard to the medium spots (these areas were dry within an hour or two). I painted the lace flowers with paint and then I used some medium to give it a little depth along with some glitter. Here is a little closer picture of the flowers. I have them lifted off the page to give the entire canvas some depth. The glitter is actually very fine and all over the entire canvas. The effect is so pretty but it was hard for me to get a good photograph. Hi everyone it's Mary with a layout I created using the February Sketch Challenge as well as my beautiful niece for inspiration. 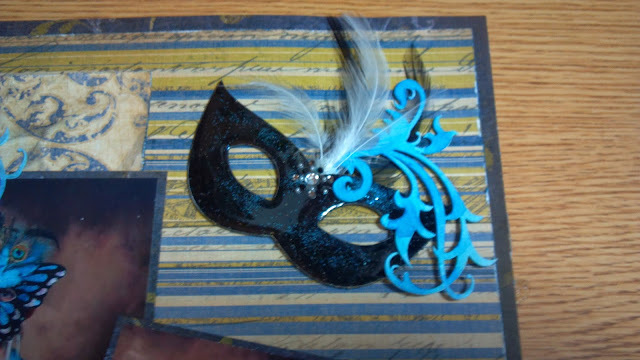 The mask was embossed with black embossing powder and then while it was still hot, I sprinkled glitter over the top of it. All the flourishes are painted with a custom paint color I made and sprayed with Lindy's Stamp Gang sprays. 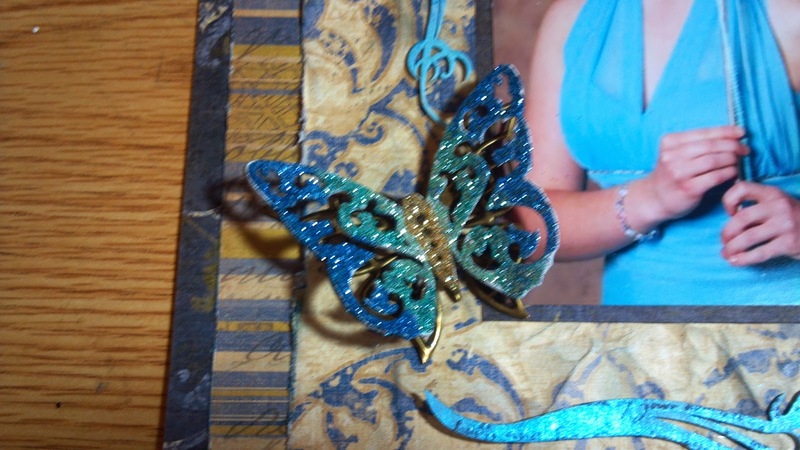 Yes, this butterfly is one of Gina's chipboard pieces! Before the gesso was dry, I gently bent the wings up, sprinkled it with several colors of fine glitter, and then glued it on top of a metal butterfly. I used a script stamp on the flourish to the left. Thanks for stopping by Gina's blog today. 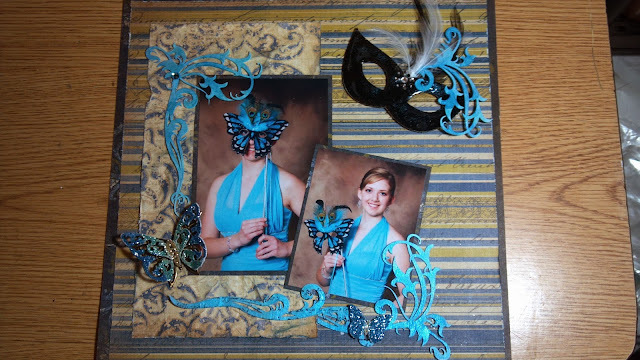 For more information on how I did this layout, please stop by my blog HERE. We have two projects to share today beginning with a gorgeous Victorian Frame and Easel set by Kim. Hello Friends and Happy Valentines Day! Today I'm sharing my altered Victorian Frame & Easel. I just love this frame set, it really hearkens back to the time when photography was just starting to come into its own. The photo I chose for the center is a copy of a vintage one taken back in 1887, the name on the back of the photo was "Aunt Emma" so that is what I call this lovely lady. I embossed all around the frame, and used Gilders Paste to give the effect of aged copper. I added some metal copper corners to add to the metallic look. The bottom left corner of the frame has some of Gina's Feathery Flourish Pieces, which I embossed and then layered on some two toned burgundy and tan roses to complete the look. Above is the front of the easel. I have gone over it with gesso, then used Gilders Paste in 2 different colors to give a worn metal look. I layered on some vintage laces, a metal Love embellishment in bronze, velvet ribbon, flowers and a crochet button. I have also added a gorgeous metal peacock to the side of the Love frame. You can see more of the Feathery Flourish there, which I embossed with the same colour as the other pieces on the frame. Above is a close up of some of the Steampunk Angel Wings from the Dressform and Wing Set on the top right, and an applique and flower from my stash. Below is a photo of the Easel you receive in the set. You can see how I distressed it to give it a worn look. The frame just sits nicely on top of it.. I hope you like my project today and thanks so much for stopping by! Next up is Heidi with a beautiful home decor wall art piece, one of several new products that were designed with Valentine's Day in mind, but can used anytime of year. Hello, it's Heidi again with a little wall art from Gina's Designs. The actual kit comes with the chipboard square that I covered with Valentine papers, the corrugated board and then the letters L O V E. I used the swans from the Valentine set as the hanger at the top! I painted the letters with a deep red paint and then left everything else natural! Adding a few bits and pieces from the Valentine Sets that Gina has along with the ever so lovely doilies! Thanks for stopping by Gina's blog today! 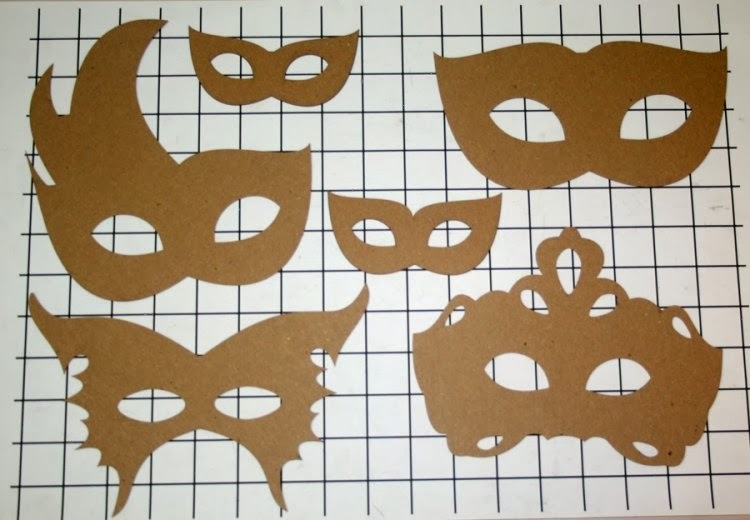 As you may already know, this month the team members are creating masks in celebration of Mardi Gras. Gina designed four great masks for us to choose from. Mine morphed into a steampunk kitty! I know! I don't do steampunk! This was my first attempt at it. The mask I decided to use is the one in the top right corner. As always, I began with a coat of gesso. Next, I cut different size squares of 3M foil tape, and placed the squares over the surface of the mask. Using a stylus, I made an impression in the foil to creat a rivet look. 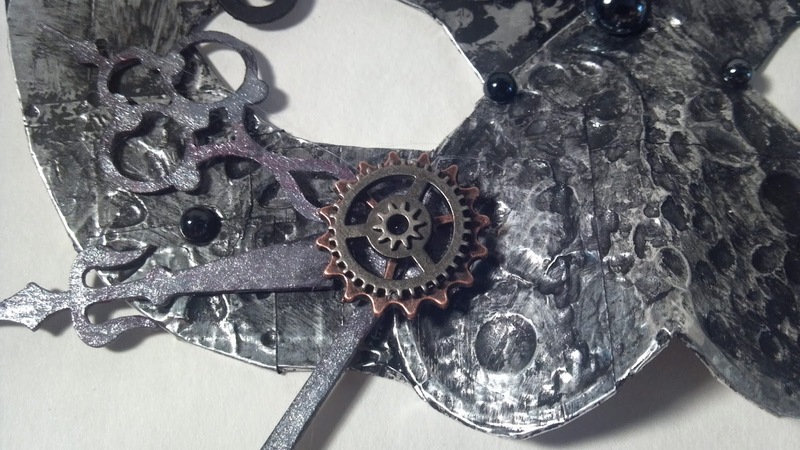 I then took one of the steampunk hearts, bent it a bit, covered with the foil tape and attached it to the mask. The gear boarder and corners were gessoed, sprayed with Lindy's, then embossed with silver and black soot. 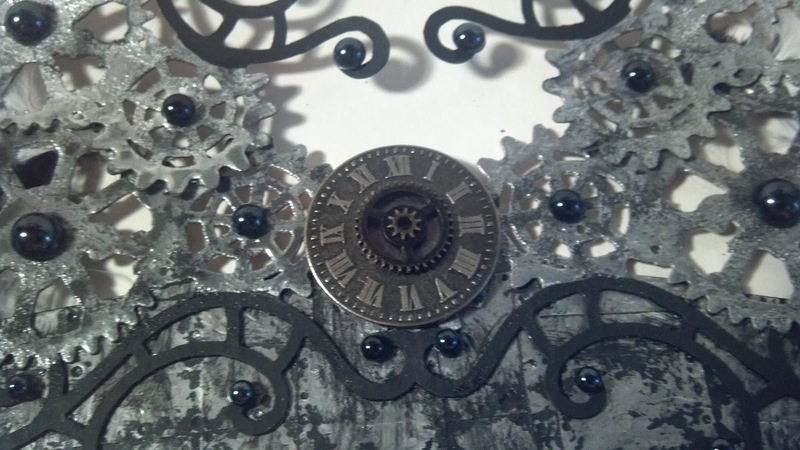 I used an emery board over the top of some of the gears to give it more of a distressed look, then sprayed them again with Lindy's. The swirl pattern is simply colored with a bic marker in black. 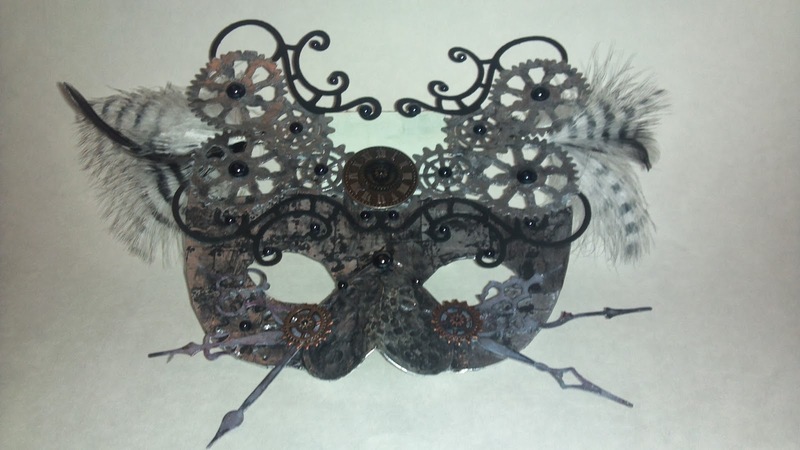 After attaching all the gears and boarders to the mask, I finished it off with metal gears, a clock face, feathers and flat back pearls. Thanks for stopping by the blog today! I have a list of all the products below. For Gina's products, just click on the name below and it will take you directly to that product in her store.